Brexit has been reduced to a shambles, with Britain’s Parliament unable to agree to the terms of exit and no single party, group or faction having the numbers to successfully push through an alternative. May is due to report back to the parliament on Monday on how she plans to proceed. 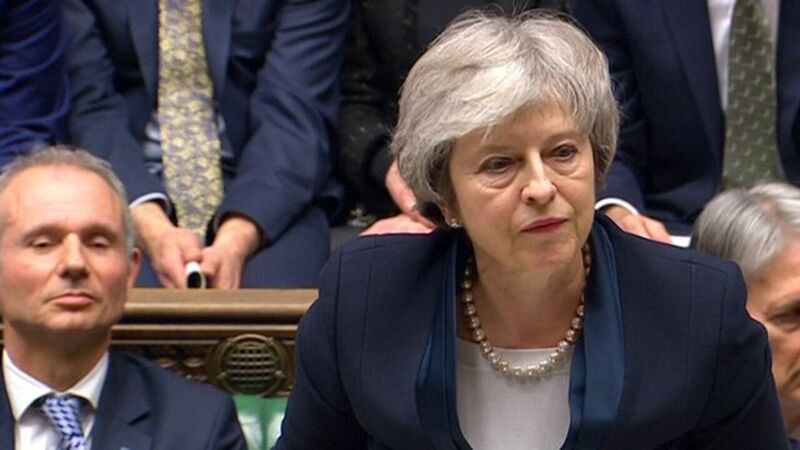 After eight days of debate, the vote on the Brexit deal was lost by 432 to 202, and Theresa May’s government now faces a vote of no confidence called by opposition leader Jeremy Corbyn. EU diplomats report that Merkel is engaged in the Brexit process, calling Leo Varadkar, the Irish Taoiseach, ahead of Tuesday’s vote in Britain in the search for possible “fixes” that might help to get the Withdrawal Agreement ratified. However, senior EU diplomatic sources said reports she had demanded Varadkar consider a time-limit to the backstop – a key Brexiteer demand – were wide of the mark, but that she pushed hard for flexibility. The exchange has led to speculation in diplomatic circles that Ireland may yet be asked to accept a distant time-limit to the backstop – of, say, five years – but only if it was guaranteed to deliver the deal. Diplomats however cautioned against over-reading German willingness or ability to “fix” Brexit, citing erroneous reports that Merkel had offered to broker fresh concessions during a phone call with May. The Sunday Times reports that May too is working on the Irish angle, and may be planning to seek a bilateral treaty with the Irish government as a way to remove the contentious backstop from Britain’s divorce deal with the European Union. Aides to May are said to have thought a deal with Ireland would remove the opposition to her Brexit plan from the Democratic Unionist Party that supports May’s minority government and from pro-Brexit rebels in her Conservative Party. Earlier on Saturday, Ireland’s foreign minister Simon Coveney said Dublin’s commitment to the Brexit divorce deal struck with the British government was “absolute”, including the border backstop arrangement. The Sunday Times also said a group of MPs would meet on Sunday to consider ways they could suspend the Brexit process, wresting control away from May’s government. In her speech in Rostock, Merkel said: “It is good that after several decades we want to develop a common defence policy … We must develop weapons systems together,” adding Europe had many more systems than the United States. “We have very strict export rules, others have less strict rules … But anyone who develops an airplane with us would also like to know whether they can sell the plane with us,” she said.